Material Material:Bitter bamboo(Body) ,all natural,eco-friendly varnishes - this model uses our own Shellac based varnishes (our shellac is sourced exclusively from India, to ensure they are of highest quality. Our Shellac varnish provides maximum protection to both inner tube and surface of the flute, giving the instrument greater resistance against elements. Design Newest design to ensure the best playing experience - a redesigned last finger hole (finger holes for the right small finger) makes the Shinobue much easier to play. *Newest design to ensure the best playing experience - a redesigned last fingerhole (finger holes for the right small finger). Traditaionally Shinobue fingerholes sits on a striaght line (as are many traditional bamboo flutes around the world). This setting, however, poses an inconvenience for players to cover the last fingerholes perfectly since anatomically speaking, our small finer is usually quite a bit shorter than the index,middle and ring finer. We have noticed and discussed this issue a few years back but decided not to change the design out of a desire to retain the Shinobue as in its most original form. Nonetheless we have received quite a number of feedbacks from our customers, many of them professional flutists, suggesting an alteration to the last fingerhole to improve playing experience, so we decided to try out a new setting. And a big thank you again to our customers, whose opinions and feedback we valued enormously. We hope you like the new design! *Please note that due to the nature of the business, some of the models (or specific major) may be out of stock. In that case, the order will be made to order. Please allow about 3 weeks of production time. 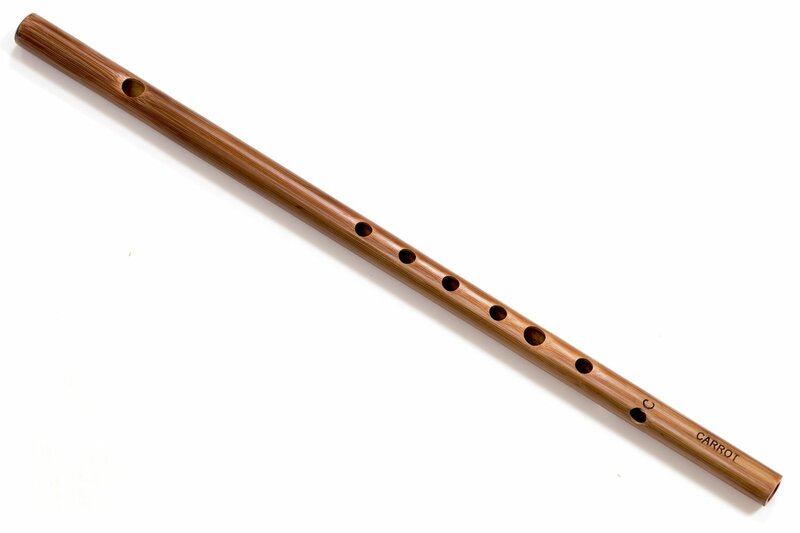 Should you need the flute sooner then that, please contact us in advance.